Signature Programming Special Event – Sign-Up Today! October is a month commonly associated with pumpkins, post season and breast cancer awareness. But did you know it’s also nationally recognized as domestic violence awareness month? We wanted to pop in this week with a second blog post featuring an upcoming opportunity to help spread awareness about domestic violence in the Kansas City community. As part of our new Women and Children focus area, childhood abuse and neglect is one of the three issues in which the Junior League of Kansas City is making a difference. One in four girls and one in six boys will be victims of childhood sexual abuse. This problem is more pervasive in our community than many realize. One of the two new Signature Programs within this issue is L.E.A.P. for Kids (Learn, Educate, Advocate and Protect), which is designed to raise awareness about child abuse and the prevention of child abuse through educational seminars and advocacy. While L.E.A.P. for Kids is League-grown, original programming, it was created in partnership with Sunflower House and MOCSA. As part of the training curriculum this fall, the L.E.A.P for Kids committee will be presenting their programming, Darkness to Light’s Stewards of Children®, on Monday October 5th. 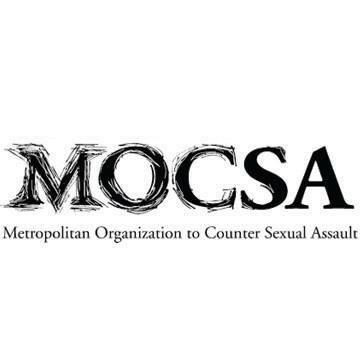 This training will take place at the MOCSA office at 3100 Broadway Blvd from 6:30 pm to 8:30 pm with video and discussion elements led by a certified facilitator. Spots are still available to attend, so sign up today under trainings. This will count as a training for Junior League members! What an awesome way to learn more and be a part of the new focus area. More information about the training on Monday is available here. This entry was posted on October 1, 2015 by JLKCMO in Signature Programming.